Sorry about the lack of updates recently. I’ve been up to my neck in street parties and the inaugural Food & Film Festival here in Warwick. Currently we are in full flow of the week long Food n Film Fest, so far there has been a Drive in showing Grease which was 6x over subscribed. Two films shown in the Lord Leycester Hospital and both were full with “Some Like it Hot” full up 1 hour before curtain up. With Catalan Restaurant provided Canapes & Sangria to keep the waiting guests happy. The week long festival does have an aim though. It was funded by Warwickshire County Council through its Operation Footfall Scheme. The aim of the scheme is well err, to increase footfall through out the county and it’s smaller High Streets and Town Centres. 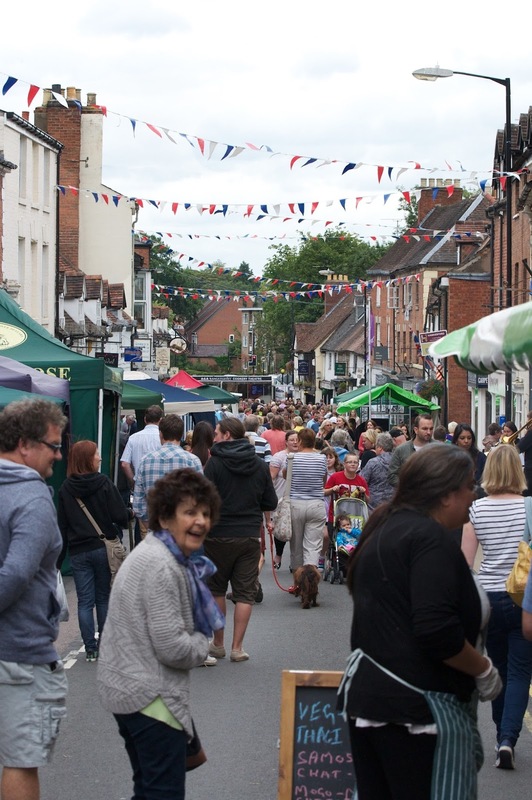 The festival started with Smith Street hosting the first of many firsts for Warwick this week, a food festival. It has to be said that the organisers were up against it with so many other events going on in and around the County. Warwickrocks, the organisers came to the party a bit late so many market and stall traders ha already booked other events, however more than 30 stall holders booked spaces and along with the resident traders pretty much filled Smith Street. The first event appears to have been a success with a kitchen demonstration stage sited at the bottom of Smith St helping to draw large numbers of visitors. The organisers have used the WCC preferred method of calculating footfall and I have to say that the numbers are quite impressive even when you consider the inclement weather of the day. Figures show that between 10,000 – 12,000 people came to the event. So with this influx of people what does it actually mean to the business’s and the local community of Warwick? To answer this I’m going to use myself as an example. In one week I have gained four new customers that found my business directly by visiting the food festival on 17th August. Now to some this may not seem very many or much more income to me or the town but when you apply logic and government guidelines, things seem to be much more positive. This is how. Each customer on average comes 10 times per year each time he spends £10 which equals £100. 4 customers means £400.00. Hopefully if I do my job well enough they just might tell a few of their friends. Anyway we’ll stick to this original £400.00. The UK government tells us that for every £1.00 spent locally is actually worth £1.70 to the local economy. What they mean is that when I’ve earn’t money and made a profit I’ll then spend it in another shop locally. Example; customer comes in, pays. I take that money and go to the shop up the road and buy a coffee or whatever. The coffee man takes the income from that coffee and goes to another shop on the street and buys something else and so on. So my 4 new customers brings £680 into the local economy. Now imagine how many other business’s may have gained new clients over the last week or so. 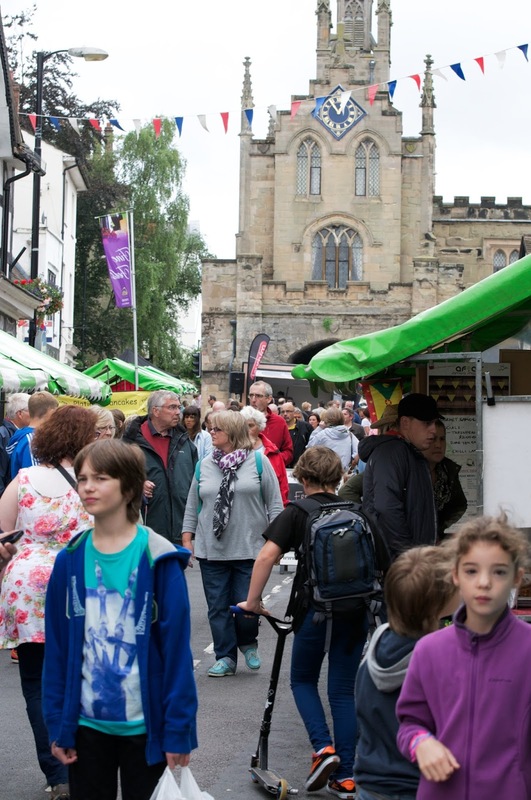 So far the figures from the festival are indicating that the County Councils investment of funding the event are showing excellent returns. The figures are indicating that it has cost £1.00 to bring in 1 person to Warwick. Using the factual illustration above, I’d say that was a pretty good return on investment, wouldn’t you? Local Business, can you make it stand out? Here are a few tips for Google Maps. Google has been busy changing a lot of the user interfaces for its local search services. Between the new Google Maps, the Google Local Carousel and the new Reviews Pop-Ups, they have certainly thrown the local search world into a tizzy. Below is a set of map results for “pizza” in Pleasanton, CA. As you can see, the purple & white ads stand out. In the queries I have tried, there are rarely more than two of these ads, and most searches yield none. Taking control of this inventory could give your business an advantage in the near term. The white space in the ad units only displays the first 10-13 or so characters. That means starting your ad copy with words that don’t compel action (like “An East Bay…” above) is probably a waste. Domino’s Pizza has the right idea by starting out with an offer like “50% Off Any…” which will probably get my “I’ll eat anything that’s cheap” attention. “Free” is another good word to start with. Check out Extreme Pizza up there strutting its bad self. Warning: This is a violation of Google Places guidelines, which states: “You may capitalize the first letter of each word or include up to a four-letter acronym. However, entire words should not be capitalized.” Proceed with caution. Until the user zooms in, both Stacey’s and Cafe Main are hidden. I have examined a number of instances where this occurs — and thus far in all cases, the business that appears on top of the MapLap (while supplies last) pile is the one that appears to have the strongest domain authority (aka links, citations, etc.). That said, this display is also highly dependent on the location of the searcher; so, it’s not clear that we all will get the same ordered pile. Mining related search data is nothing new. What is new is how nicely Google Maps displays the related search queries as part of the search box. In the above example, if you click on “espresso,” you will see that very few businesses in the area appear for that term. This would be a hint to add the word “espresso” to your Google+ Local business description, your website and to relevant citations for your business. This is a subset of the keywords that show up in the “At a glance” section of the Google+ Local page. As best I can tell, these words appear because they occur often in online discussions people have about these businesses on sites like Yelp, UrbanSpoon, etc. I have had success influencing these keywords on occasion, but if you want to affect what shows up there, promote it. For example, if Bob wanted to get rid of “lettuce” perhaps he should run a “Curly Fries” promotion to get people talking about his awesome curly fries all over the Web. Explore the Google+ Local pages of the businesses that appear in these results and you’ll find people who tend to write a lot of reviews. Circle them, friend them, offer them some curly fries with lettuce. Get them talking about you and you might find yourself with more lettuce to play around with. I’ll keep digging and let you know what other goodies I find. If you figure anything else out, let me know…and the curly fries are on me. This year for the first time the Smith Street Traders Association (SSTA) used the radio advertising to promote it’s annual Street Party. This year, best guess estimates indicate that visitors to the event were perhaps around the 10,000 mark. At any point during 12.00 & 16.30 it was estimated that there were between 2-3000 people on the street. Some traders on Smith Street suggested that it was perhaps the best ever attended Party since it began about 7 years ago. So what made a difference? Could the weather be the reason, which of course will always help or is it that this great event is well established? One additional reason maybe that the SSTA chose not to advertise by their usual means of relying on the Folk Festival program to advertise the Street Party. This year the traders group went to Touch Fm to make a radio advert which was aired 56 times in the week running up to Saturday 27th July. With the Warwickrocks Food & Film Festival Launching on Smith Street on 17th August 2013, radio advertising has been used again to promote the food festival. I guess time will tell on how effective local radio advertising can be. Of course advertising like radio or any other format needs to be a part of a whole strategy for advertising. One thing won’t work on it’s own. 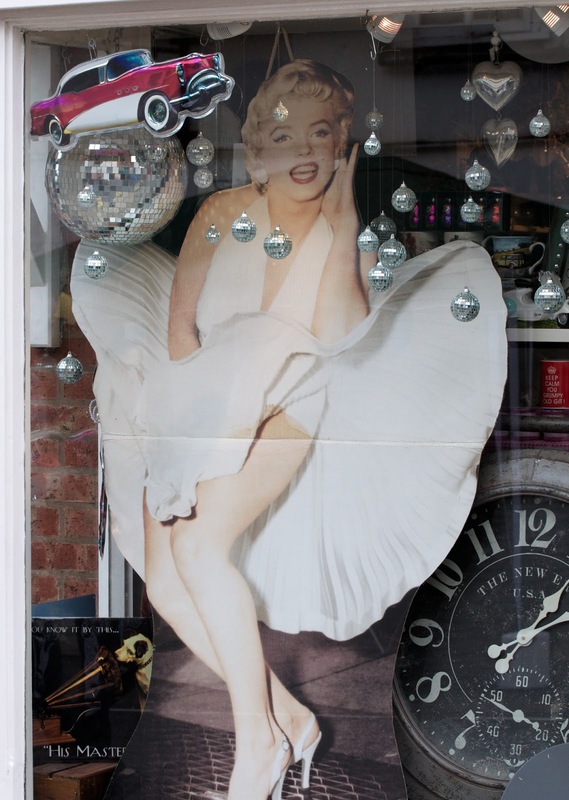 Using the radio and other mediums such as social media are proving effective in Warwick. Should our councils, County, District or even Town be using Radio to promote their own assets like Town Centres and High Streets? Smith Street Traders have gone all ITV on us. Here is another trader, Golden Monkey Tea Co they’ve now entered into the spirit of things by making an advert for the only loose tea merchant in Warwick. Golden Monkey Tea Company from Huw Bowen on Vimeo. Here is one of my colleagues talking on Radio Warwickshire earlier today.